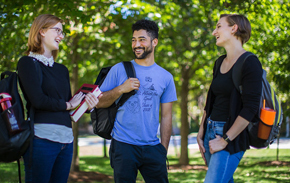 Tuition deposits are non-refundable and will be credited to your Fall 2019 student account. Information effective as of September 28, 2018. 4. Complete the Sexual Assault Prevention for Graduate Students All incoming Emory University students are required to complete the Sexual Assault Prevention for Graduate Students (Formerly Known as Haven Plus). Sexual Assault Prevention for Graduate Students is a relatively short program: Part 1 takes approximately 45 minutes to complete, and Part 2 (a follow up survey sent 6 weeks after Part 1 is finished) takes approximately 15 minutes to complete. 8. Upload Your Photo for Your EmoryCard (Student ID) » The EmoryCard is the official ID Card of Emory University. It permits access to facilities and events and can be used to purchase goods and services at the university and at a wide range of merchants throughout the community. The image you upload must be on a white or solid neutral background. More information regarding your EmoryCard and upcoming deadlines will be available later this summer. Cards will be available for pickup during Welcome Week. 10. Register for On-Campus Parking 2019-2020 online parking registration will open in June 2019. More information will be available later this spring. 11. Student Accomodations Emory University School of Law provides all persons an equal opportunity to participate in and benefit from programs and services afforded to others. Sei Yoshioka-Cefalo is a Licensed Professional Counselor at the School of Law and is the primary liaison to Emory University Access, Disability Services, and Resources (ADSR). He can assist qualified students with obtaining a variety of services and ensures that all matters of equal access, reasonable accommodation, and compliance are properly addressed. If you have questions or concerns pertaining to accommodations that you may need while you are a student at the School of Law, please contact Sei directly by sending an e-mail to: sei.yoshioka@emory.edu. When you contact Sei, please provide your full name, Emory ID number, and the program you will be enrolled. If you are a transfer student, please indicate accordingly. You may also want to network with peers via the Class of 2022 or Class of 2021 Facebook pages for roommate opportunities. Section assignments and book lists will be available in August 2019. 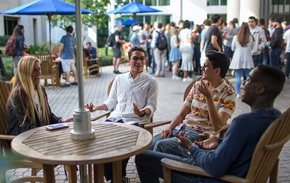 Our Class of 2022 Facebook group is a great way to connect with your future classmates, find roommates, ask questions of current students, and learn more about Emory and Atlanta. You’re also welcome to connect with the Class of 2020 Facebook group and the Class of 2021 Facebook group to ask questions of current students.